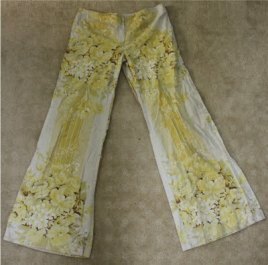 Erica Louise from Recycled Fashion was given this awesome pair of vintage pants. The only problem? They were too big. Happily, it took just a few seams to make them just her size. She shares a tutorial showing how to do it. (I particularly like the fact that she checks the fit of the new size BEFORE trimming the seams!) Get the tutorial.